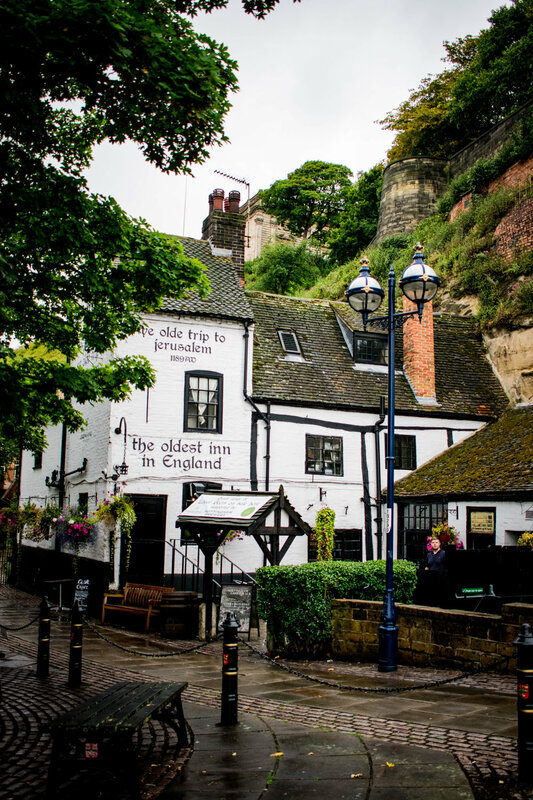 If you happen to find yourself anywhere near Nottingham, then you must take some time to make a pit stop at Ye Olde Trip to Jerusalem! This was definitely one of the most unique pubs I have ever seen. It is built into the rocks that Nottingham Castle is built upon. 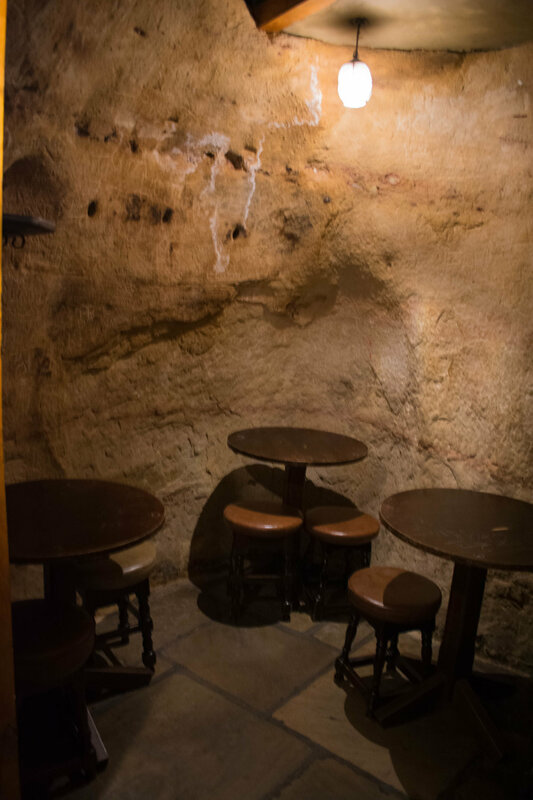 Because it is built into rock, there are little nooks and crannies that look like mini-caves all over the bar. It's almost like it's own cave system - only there's beer! 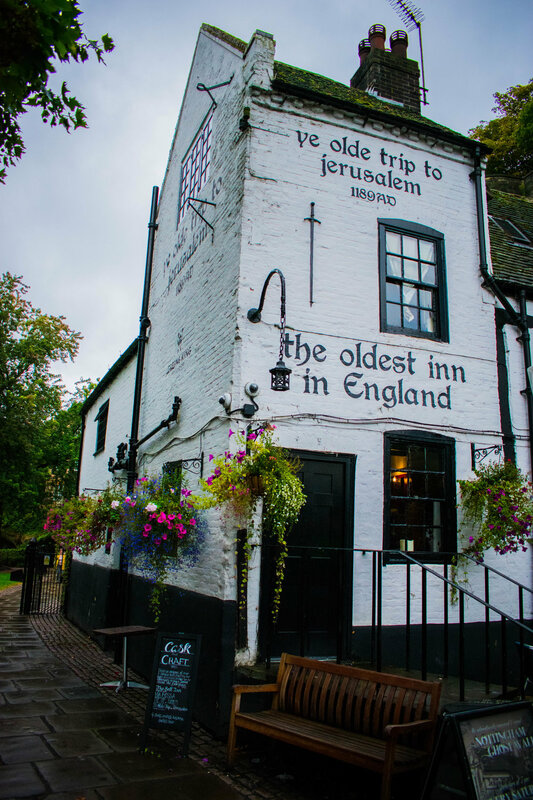 Ye Olde Trip to Jerusalem is an inn dating back to 1189 AD - famous for being the oldest inn in England. The name seems a little odd at first, but back in the day it was a common place for people to stop at on pilgrimages to Jerusalem. 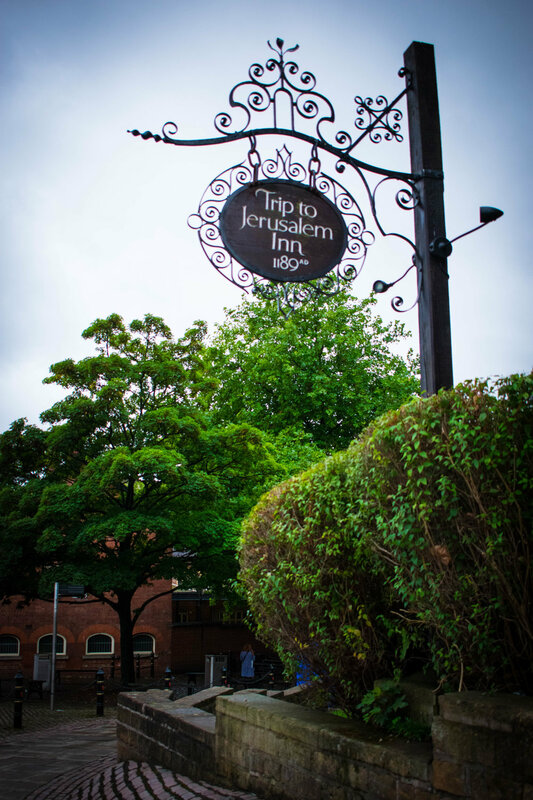 So even if you're not on a pilgrimage to Jerusalem, you should make a stop at Ye Olde Trip! We were on our way from Bath to York, so making a quick stop in Nottingham made perfect sense to us and we were thrilled to be able to see Ye Olde Trip. When we first arrived, we took some time to wander around and check out the many different rooms and areas throughout the bar before we decided on a place to sit. When we came across the Haunted Snug, we grabbed a table right away. Who wouldn't want to drink a beer in a Haunted Snug? We ordered a couple of beers from the bartender and had a seat at our table in the Snug. 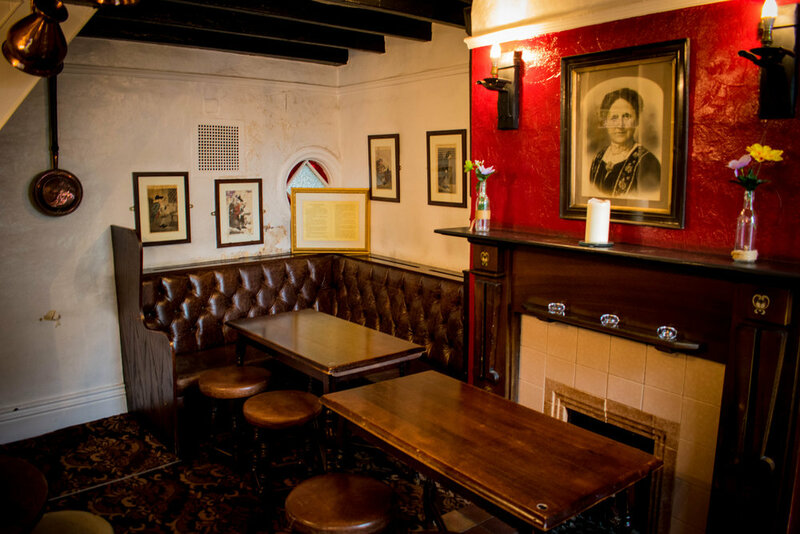 Thankfully we did not experience any paranormal activity in the Haunted Snug - even though Ye Olde Trip is supposedly one of England's most haunted pubs! We just relaxed and enjoyed the delicious real ales while admiring the creepy portrait they have hanging above the fire place in the Haunted Snug. If you're staying in Nottingham, I would definitely suggest going here for dinner and drinks. They also have a huge outdoor beer garden area so it's probably a great place to go on a nice summer night. Next stop on our adventure was Chatsworth House (AKA Pemberly)!